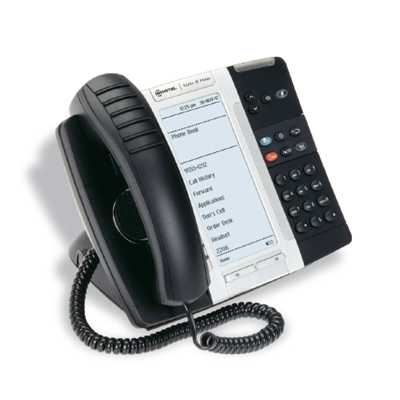 Part of the new-generation desktop family, the Mitel® 5320e Phone demonstrates Mitel’s commitment to ease of use and enhanced user value, while delivering innovative features and applications. A full-feature enterprise-class telephone, the 5320e Phone provides a large, backlit graphics display with eight multi-function, programmable, self-labeling keys, three intuitive softkeys, and ten telephony feature hard keys for the most commonly used telephone functions. This applications phone also features wideband audio, and a built-in HTML player for desktop applications. 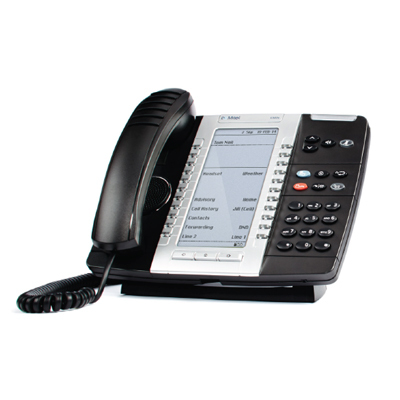 The Mitel® MiVoice 5330e IP Phone is a full-feature enterprise class telephone that provides users with real- time access to applications and services such as web browsing, contact lists, call history logs, and many customizable user settings. HTML applications can be developed to run without an external server – providing cost-effective, intuitive customization for the user’s unique requirements. 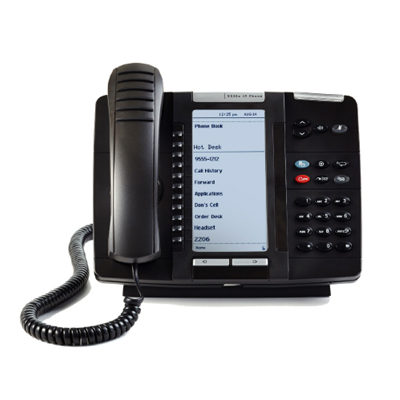 The MiVoice 5340e IP Phone delivers easy-to-use, one-touch access to many phone features and applications in an exciting next generation desktop device. 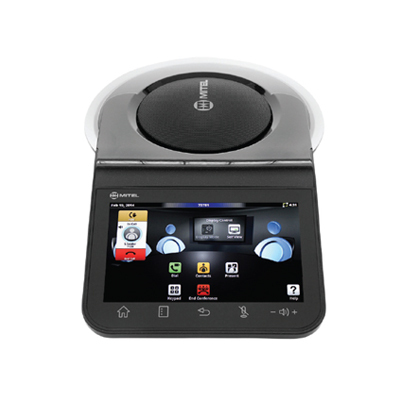 The MiVoice 5340e can be customized to a specific user’s needs, or used by any general employee in the business. 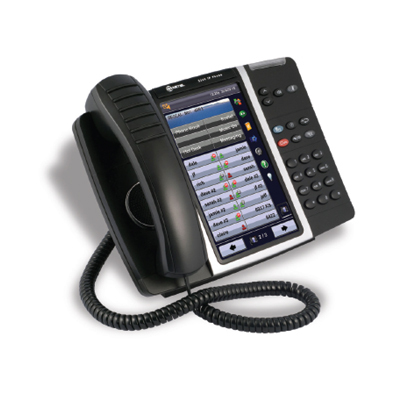 The Mitel® MiVoice 5360 IP Phone is Mitel’s latest state-of-the-art IP phone, which includes a large, color, touch-sensitive, graphical display screen for easy access to communications information, time-saving applications, and extensive features. It provides professionals with an intuitive color interface for easier viewing and navigation, of both phone functions and productivity-enhancing applications. Mitel® MiVoice™ Video Phone is a multimedia collaboration appliance that provides businesses with a range of capabilities, such as audio conferencing, in-room presentation display, multi-party audio & video conferencing and remote collaboration for the personal office and traditional meeting space all via a single, all-in-one business collaboration solution.